AGlaze Perfect Finish is for the serious enthusiast who likes nothing more than looking after and looking at, a flawless mirror finish thats always smooth to the touch and easy to clean. Utilizing some of the technology from our professionally applied paint sealant system, we have created a DIY spray on polymer that creates an unbeatable gloss and depth of shine. Perfect Finish provides an innovative alternative to waxing. There’s no dust and no chance of getting those annoying white marks on the rubbers or plastic trims. AGlaze Perfect Finish can be used, with stunning results, as an enhancement to the professionally applied paint sealant without affecting the guarantee, or can be used on its own to maintain the paint finish on any vehicle all year round. The Polymer Spray can be used as often as you like, but we recommend re-applying it at least every 6 months to maintain the perfect finish. 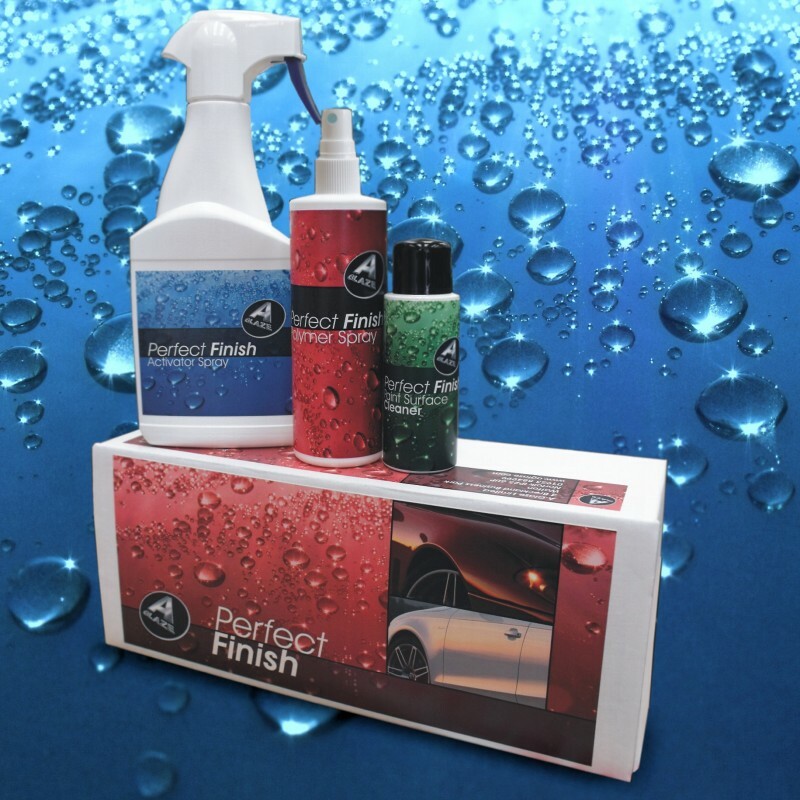 The Perfect Finish Kit contains everything you need to treat your vehicle including application cloths and full instructions. There is enough of the Polymer Spray and Activator Spray in each kit to keep your vehicle treated for a whole year and all of the kit components can be purchased seperately to top up your existing kit. Please note that the Polymer spray can only be used with the Activator spray, so make sure you always have plenty of both.